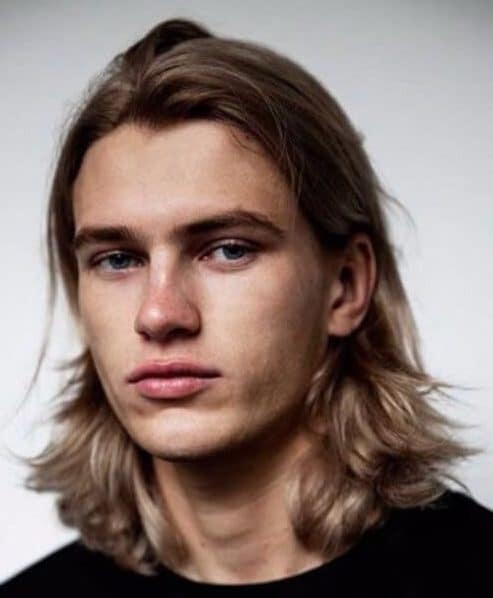 More and more guys these days choose to grow out their hair as part of the ever-changing styling trends. 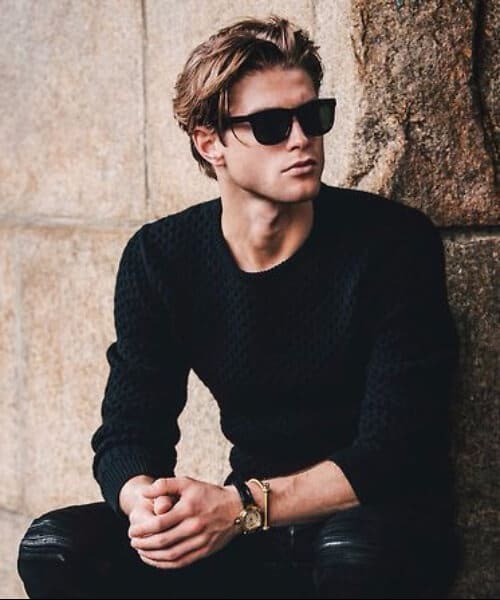 Therefore, it has become extremely fashionable all over the world for men to have luscious locks. A medium cut might be the perfect choice for you as well, given the fact that it is versatile, easy to maintain, and, let’s not forget, incredibly attractive. 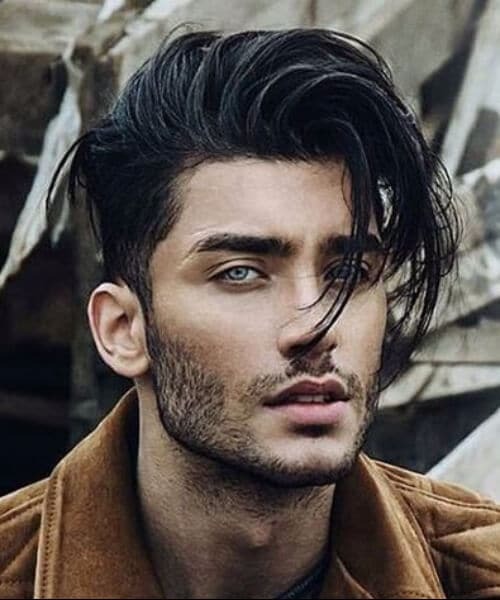 If you think this is a clever idea, here are 50 superb medium hairstyles for men that will prove inspiring for you next visit to the stylist. Medium hairstyles for men are all about feeling young and fresh. Forget about the rigor of a short and clean haircut and embrace the freedom that comes with a longer hairstyle. Being young has never looked so good. If you have wavy hair and thinking about going for a medium cut, then you will need to find some very high-quality hair care products. First, you will need a good conditioner to keep those locks moisturized. Secondly, you need hair wax to keep everything in place. 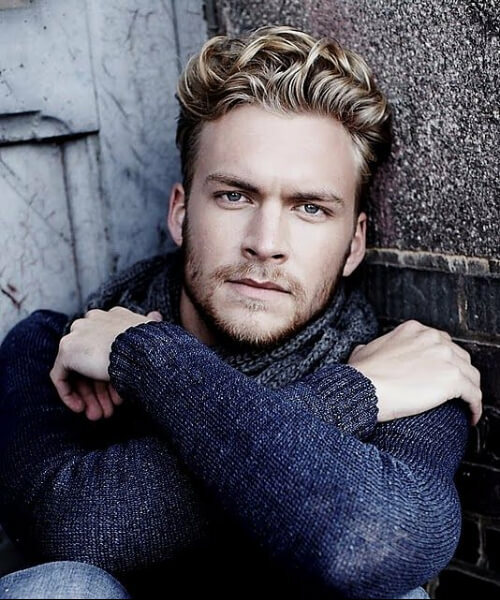 Medium hairstyles for men can be a fabulous idea if you happen to have an amazing natural hair color, such as this creamy beige blonde. The length and style of the hair will showcase the color perfectly. If not, you can always dye it. In a world where many men battle alopecia, having thick hair may seem like a blessing. However, it can also be a curse if you don’t know how to handle it. That’s where medium hairstyles for men come in. 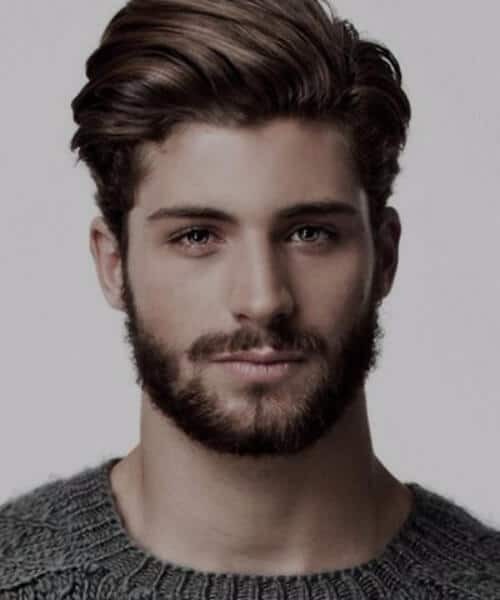 Here’s a lovely version of what we would typically call medium hairstyles for men. The haircut is short in the back and on the sides but it has a top with long strands and bangs. Oh, did we mention the curls that make one absolutely weak at the knees? 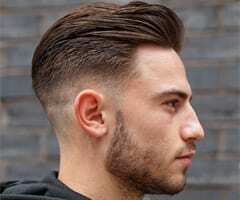 As far as medium hairstyles for men go, this is a messy cut with taper fade and bangs. The thing we loved most about this look, though, is the heavy use of hair gel that gives it a wet appearance, almost like you’ve been caught in the rain. This is a cool trick you can use in case you have thin hair. Ask your stylist or your barber to give you a layered haircut which will give the illusion of depth and volume to your hair, rather than showing that it is thin. Unless you’ve been living under a rock, there’s no way you haven’t noticed that this is a huge trend nowadays. 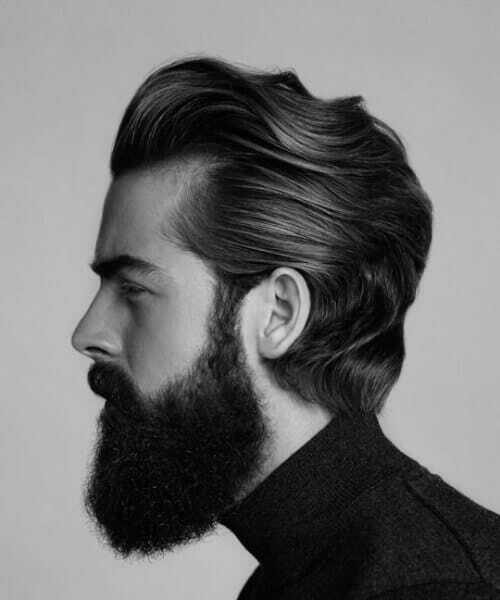 The slicked back hair plus bushy beard ranks high as far as medium hairstyles for men go. This is another type of the slick back. The difference here is that you have to use a lot more hair wax, a soft brush to tease it, and your blow dry. The idea is that you need to raise it into a high pompadour. You woke up like this? Well, we don’t believe you, but we like it anyway. The key to this look is a bit of hair gel if you like the dewy look or some good quality hair wax. Run your fingers through your hair to make it look like you just got out of bed. This is a medium hairstyle that is a bit longer than what you would normally expect. In fact, it’s somewhere on its way to becoming a long cut. It’s also flowing and straight with a lot of volume and layering at the bottom. 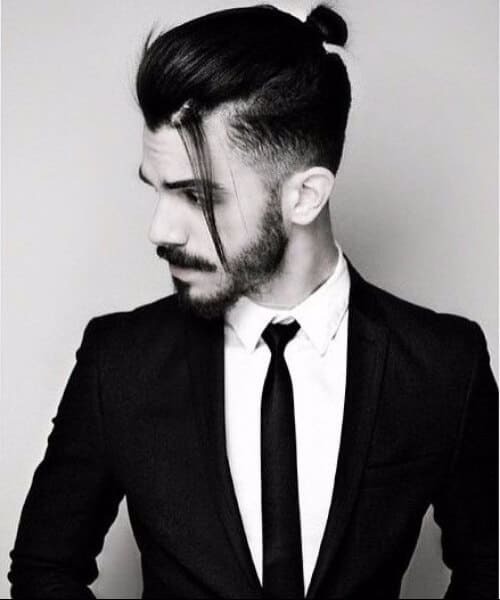 If you need to add some practicality to your medium hairstyles for men, you can always try a top knot. 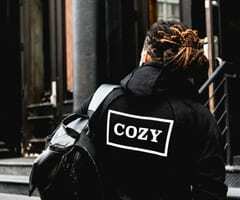 They have been the height of fashion and styling in the past few years and have even been donned by celebrities the world over. A medium cut can guarantee you one thing – that you will look handsome no matter what. 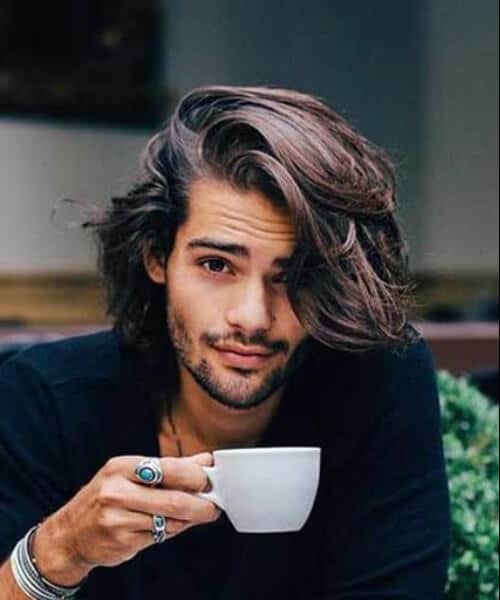 There’s just something about having long hair, letting it get all ruffled by the wind and then running your hand through it that gets all the ladies. 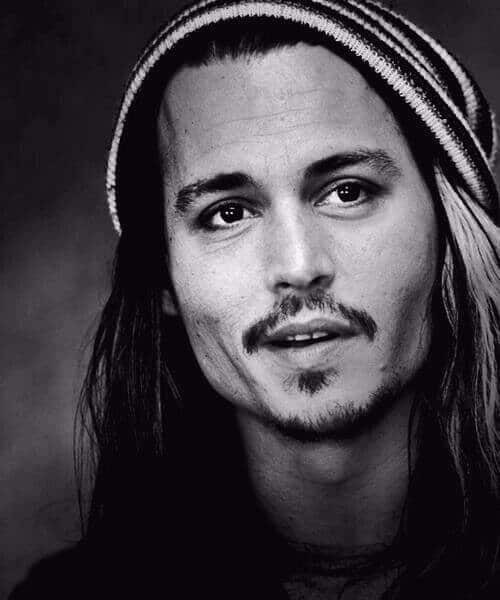 Actor Johnny Depp has always been very partial to long and medium hair. And we cannot say we feel sorry about it because he looks absolutely gorgeous. He can absolutely pull off his unique rocker style with the smallest of efforts. 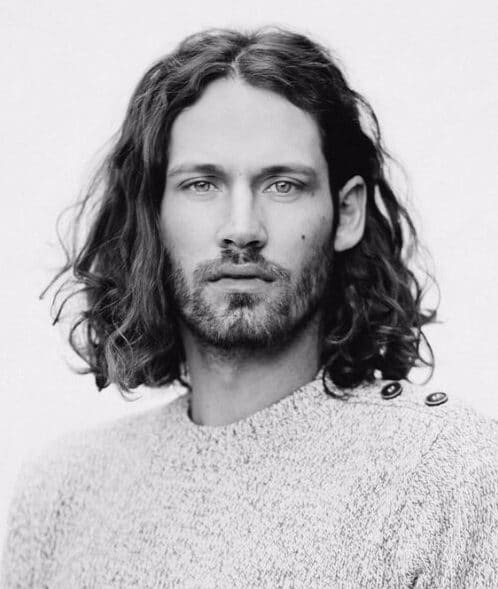 Nothing spells out ‘perfection’ better than medium hairstyles for men, dirty blonde hair, piercing blue eyes, a gorgeous blue beard, and a set of hippie accessories to match. Go ahead. Look it up in the dictionary! 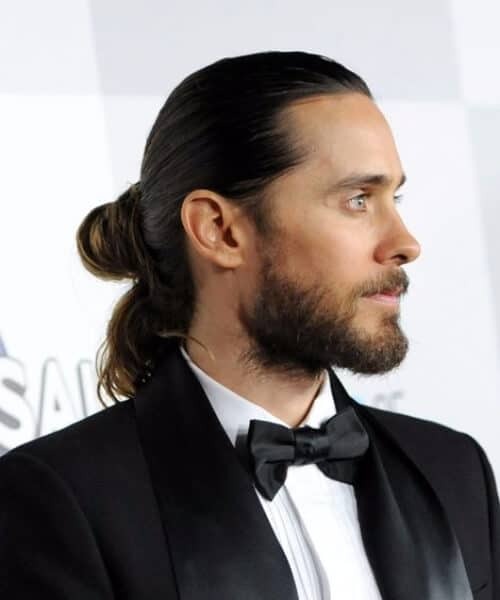 By far one of the most beautiful men in the world, Jared Leto can be trusted to know a thing or two about medium hairstyles for men. Here he is with a slick comb over and a low man bun at a red carpet event where he is also sporting a tux. 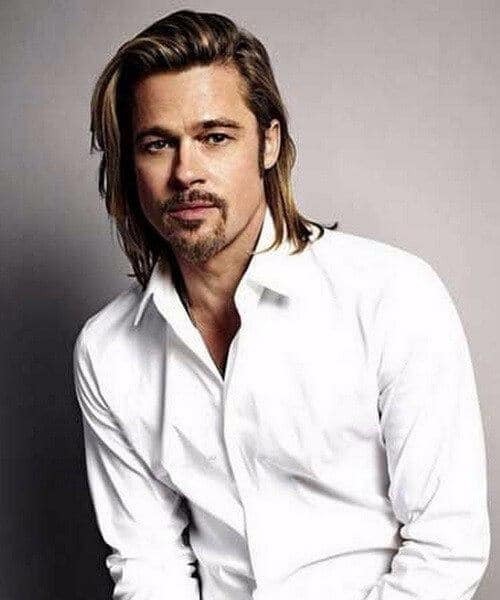 We’ve seen Brad Pitt wearing long hair for many of his roles, starting with ‘Thelma and Louise’ and ending with ‘Troy’ and ‘Legends of the Fall’ and we loved it. Therefore, it was only natural that he should make the jump to his private life as well. Naturally, Orlando Bloom’s most appreciated love affair with hair is the long blonde wig that he wore in ‘The Lord of the Rings.’ However, in real life, the actor loves medium hairstyles for men, especially since he has naturally curly hair. Here’s another Hollywood hunk who loves to splash around in a good, old, medium cut. 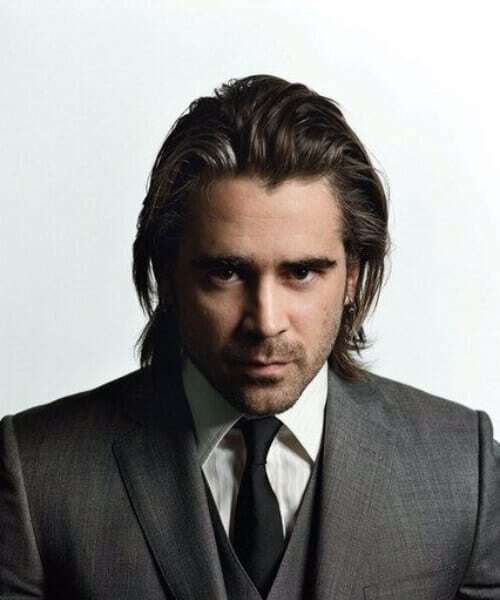 He enjoys wearing his slicked back with no parting at all, in a very macho meets gentleman kind of way. We like it! 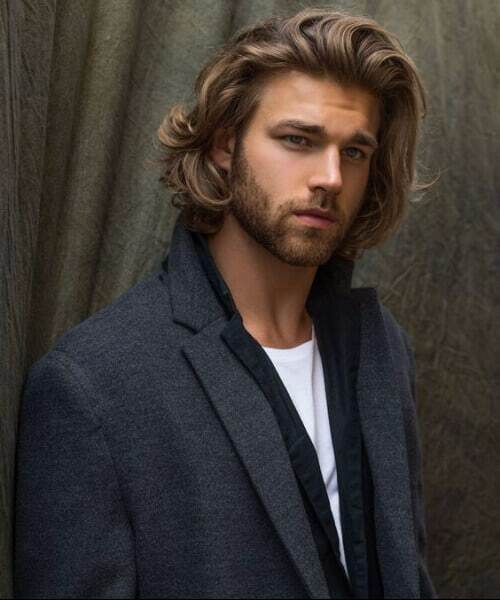 The most handsome man alive, as voted by People Magazine in 2014 can do no wrong when it comes to hair. His blonde locks frame his strong and angular face and showcase his piercing blue eyes. The beauty from down under! 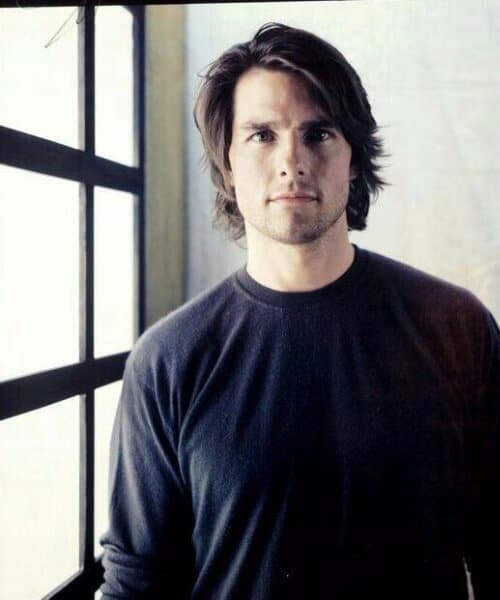 Gone are the days when Tom Cruise used to sport a military cut for his role in ‘Top Gun.’ Now he loves the much more flattering medium hairstyles for men, feathery and layered, since Mr. Cruise has fine hair. The great thing about this styling option is that you don’t even have to work a lot to get it. Sometimes, if your hair is great by default, all you need to do is grow it out. Use a bit of texturing spray and you’re done. It’s possible that Kit Harrington’s hairstyle is just as famous as his character on ‘Game of Thrones’ is. 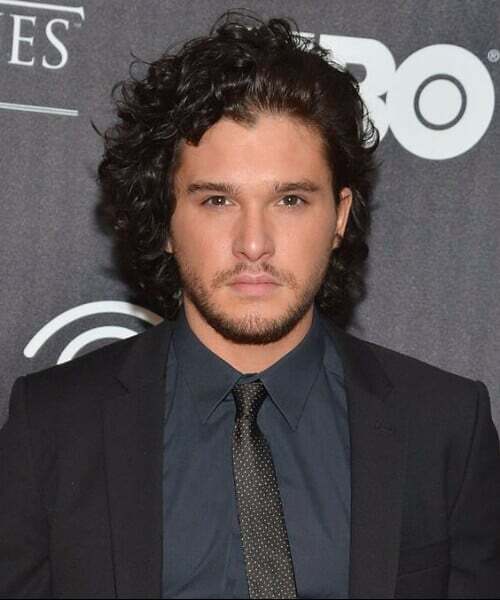 Jon Snow may not know much, but he surely knows a great deal about medium hairstyles for men. If you love this hair styling idea just as much as we do, then you will be happy to find out that there are a lot of tutorials out there that teach you how to get these finger waves. Looking dapper is now only a few brush strokes away! 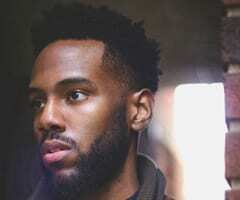 The reason why these medium hairstyles for men are called thusly is obvious. Using liberal amounts of hair wax, take the longest strands of hair as well as your bangs and create some long spikes that can resemble the horn of a unicorn. 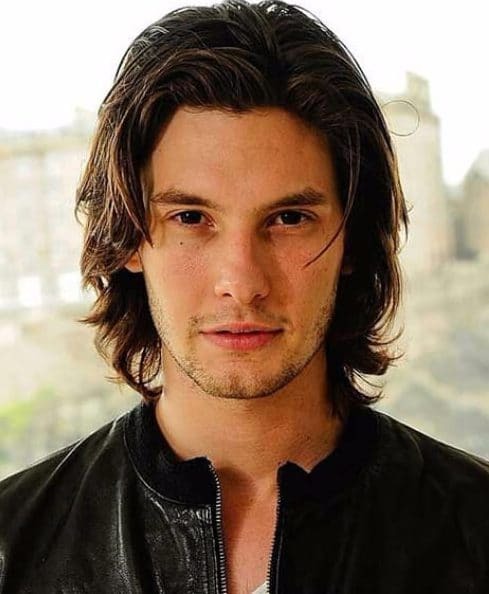 Actor Ben Barnes has always remained faithful to his medium cut as well as to his wet and wild look. The latter is due to the amounts of hair gel that he uses. Therefore, we do have to give him bonus points for fidelity. Remember, you will only look cool as long as you feel cool. 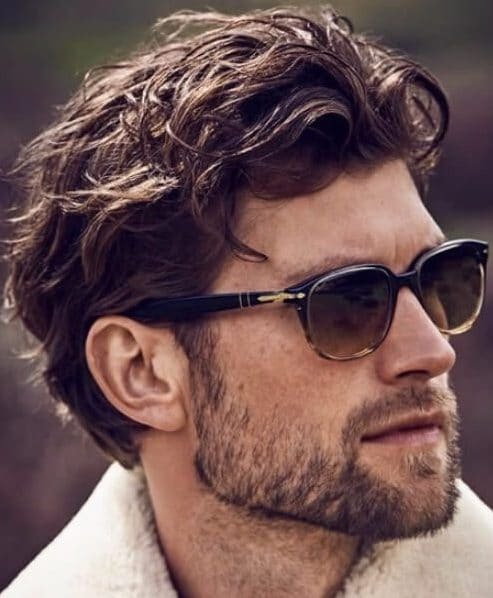 Medium hairstyles for men are here to help you with that. 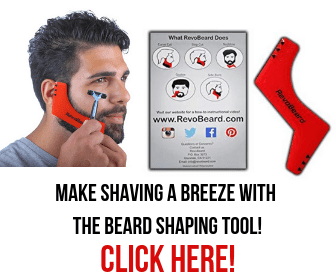 You can try the ombre trend or you can grow a beard. That usually works like a charm when it comes to looking as cool as possible. 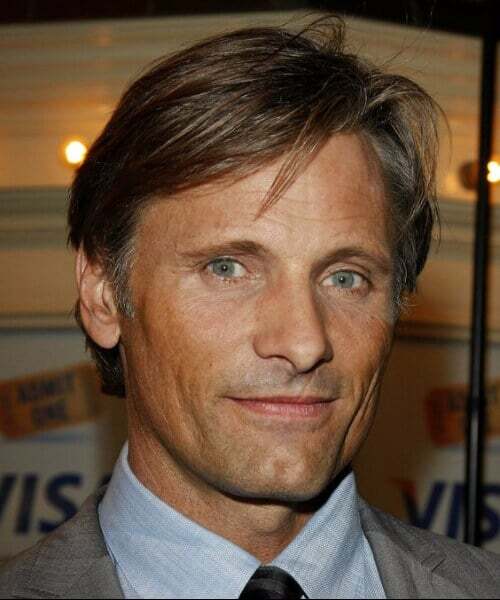 Although he will always be Aragorn in our hearts, actor Viggo Mortensen is one handsome man in real life. 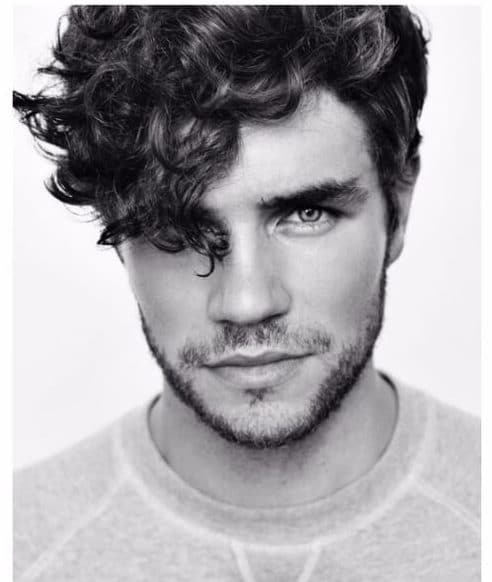 We like to believe that the medium hairstyles for men that he adheres to have a word to say in that. Why don’t you follow our King’s lead? He was the Hulk, Hector of ‘Troy,’ Henry the VIIIth, and King Uther among many others. Still, we cannot help but love him for his good looks and his medium hairstyles for men are a huge part of that. Eric has jet black wavy hair and a beard to match. Another Hollywood heartthrob you might consider using as an inspiration for your next visit to the stylist is none other than Christian Bale. He has chestnut hair which he wears at chin length and slicked back over the crown of the head. 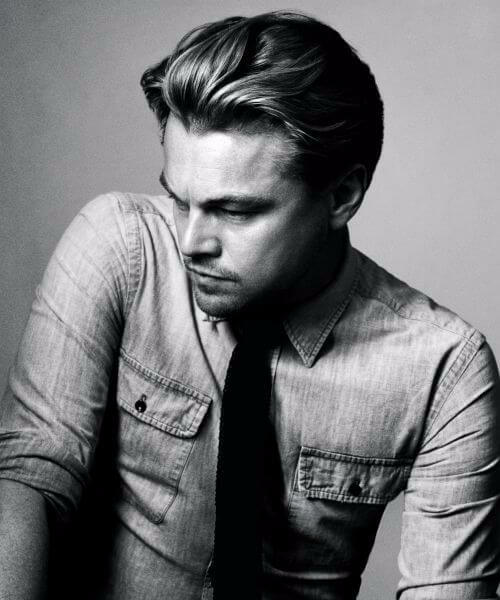 Is there a haircut in which the iconic Leo doesn’t actually look good? We don’t know that but what we do know is that we love him in medium hairstyles for men. He has always remained faithful to his baby blonde locks that emphasize his blue-green eyes. Another raven, curly haired cutie we definitely need to mention as inspiration when it comes to medium hairstyles for men is Patrick Dempsey. 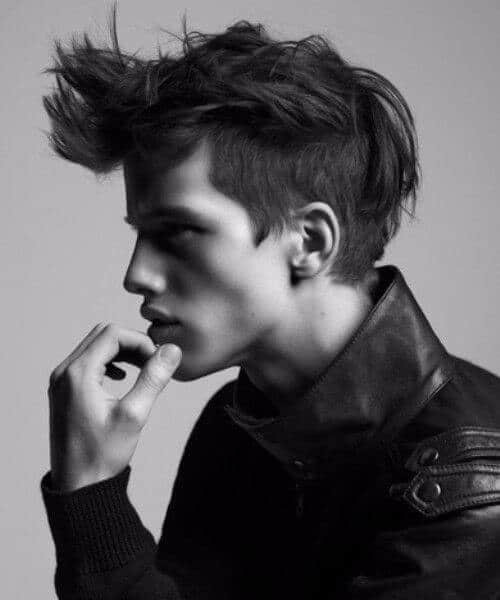 Given his facial bone structure, he made a superb choice in going with a medium cut rather than a short or long one. 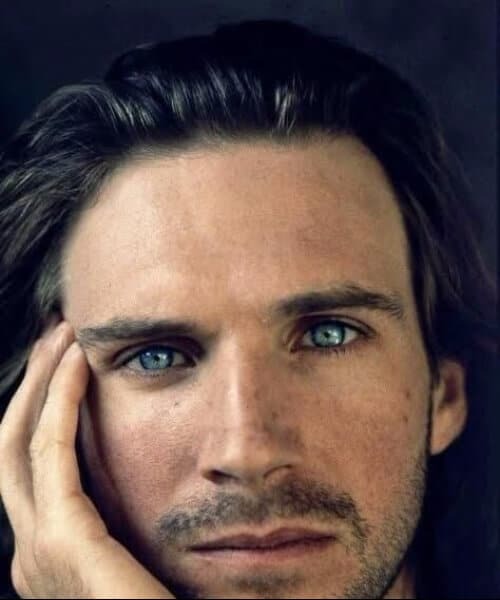 Even though he was our favorite hairless, noseless baddie on Harry Potter, Ralph Fiennes is still one of the most handsome men in the world in real life. He actually has one amazing head of hair, long and luscious, highlighting his gray blue eyes. Hipster Spiderman as he is otherwise known could not have possibly missed an opportunity and stay away from medium hairstyles for men. Andrew Garfield has very thick hair which he wears in a high and teased up pompadour with a lot of volume. 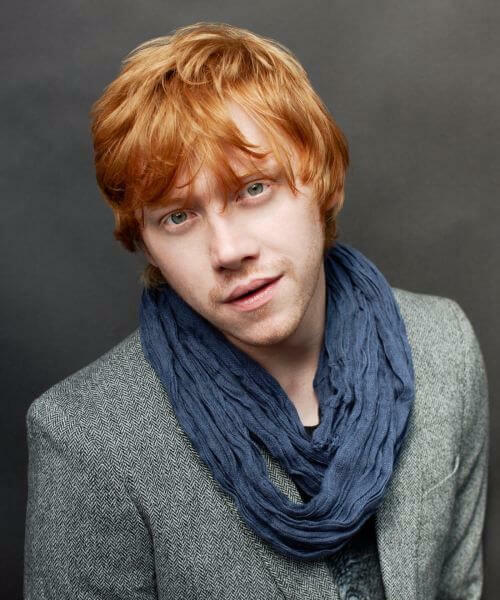 The most adorable and funniest sidekick in the world, Ron Weasley himself is a proud supporter of medium hairstyles for men. Let’s face it, when you have the signature Weasley red hair, there’s no way you can wear it short so that no one can see it, right? Here’s another world favorite. 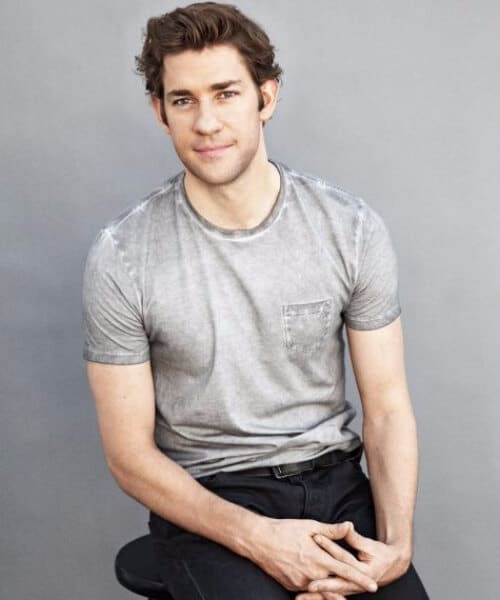 This’s time it’s every girl’s nerd crush, Jim from ‘The Office.’ He used to wear his hair in what was a very popular hairstyle in the 2000s, medium sized and with a lot of spikes in the back. Goofy and adorable! 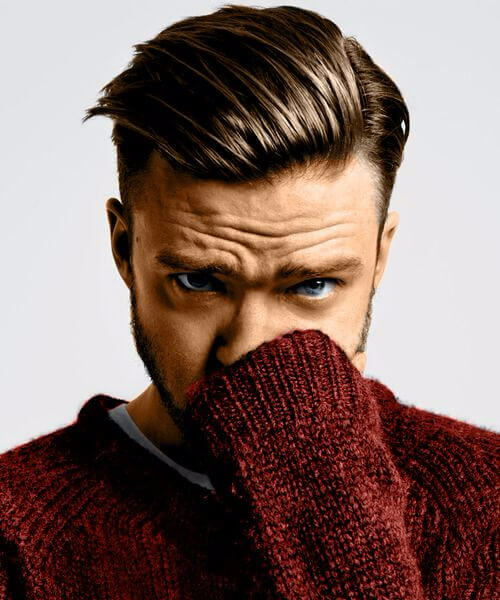 Do you remember that time when Justin Timberlake’s hair looked like a bowl of ramen? We do. Luckily for everyone, the singer has now turned to medium hairstyles for men. He wears his hair parted and slicked to one side, in his natural chestnut color. 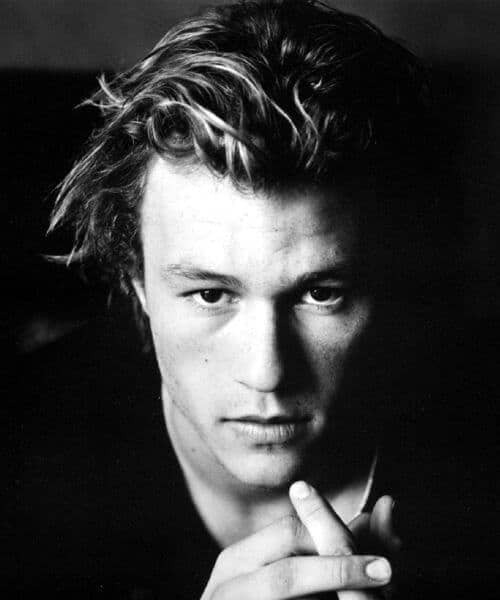 Another famous and unique hairstyle was that of beloved actor Heath Ledger. He used to wear his blonde hear in something that resembled natural surfer curls and he looked really good, too. We can pin this one down as forever inspiration. 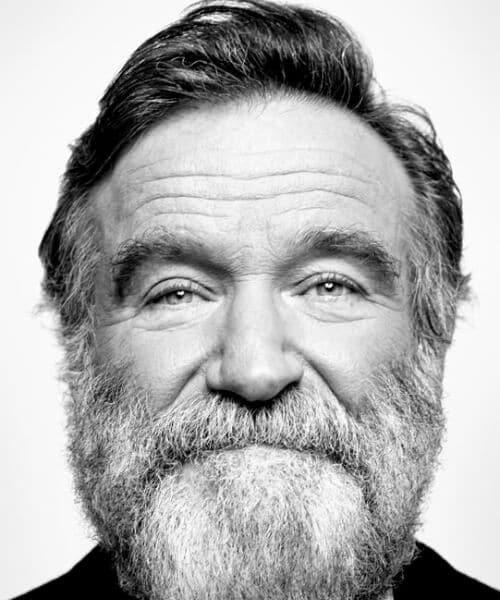 The legendary Robin Williams loved his hair parted on one side in an elegant slick. 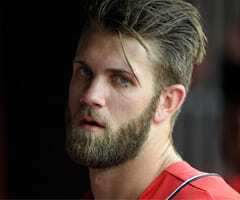 He also took to wearing a very bushy and well-trimmed beard that he allowed to grow gray and white naturally. Mr. Williams, we salute you! Beyond medium hairstyles for men, there is another thing for you to use as inspiration here. This is hair color done right. 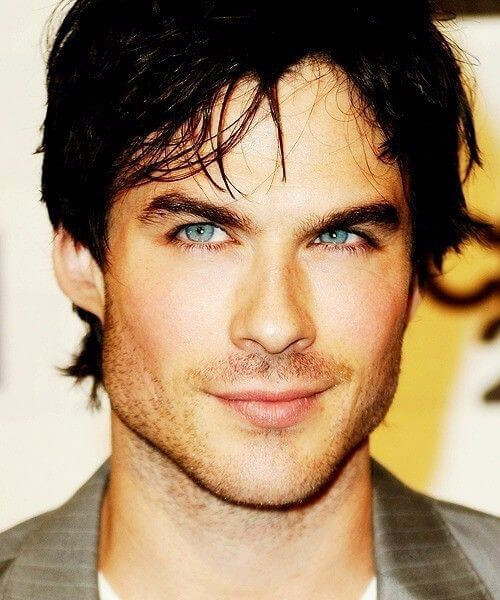 Actor Ian Somerhalder chose a very dark shade of chocolate brown that has highlighted his very light blue eyes. Blonde hair and beard? Yes, please. 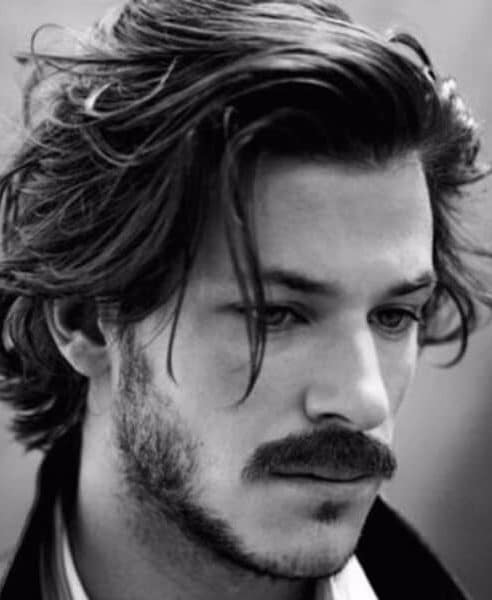 Medium hairstyles for men that can showcase this combo? Yes, please. Charlie Hunnam? Where do we sign? Remember to stock up on hair gel if you have your mind set on this wet look. A common stereotype has us all believing for ages that a gentleman must wear his hair short. The past few years have come to prove just the opposite of that. 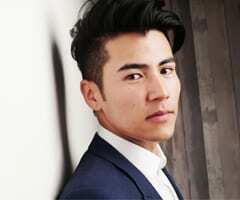 Medium hairstyles for men can be just as elegant and lordly as you want, as long as you style them correctly. He might just be the king of natural medium hairstyles for men. 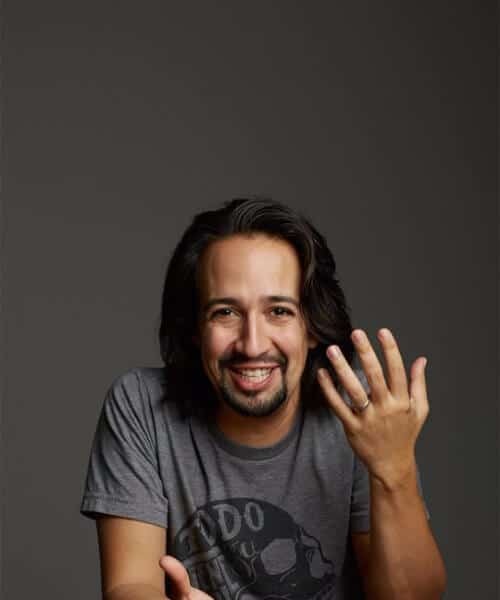 What we love about it is that Lin Manuel Miranda makes it all look so simple and effortless. It’s like waking up, dabbing a bit of hair wax on and going about with your day. 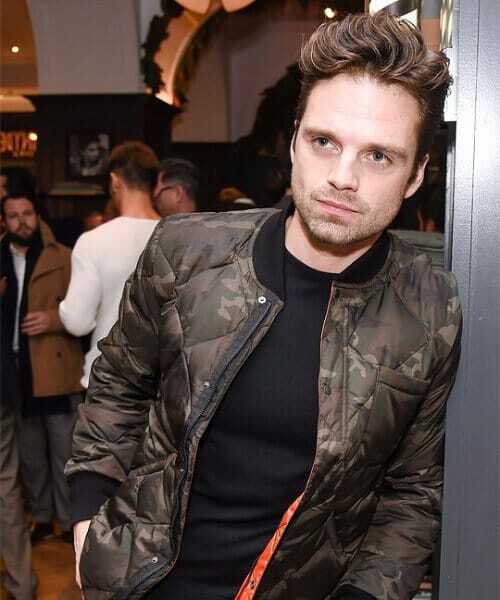 The Winter Soldier himself loves a nice wavy hairstyle as well. His hair is natural chocolaty in color spiked with a bit of caramel. He wears it cut short on the sides and in the back and long and wavy on top. 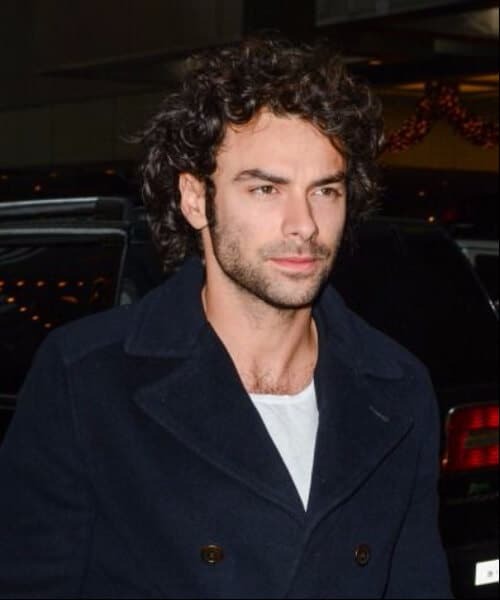 The world took notice of Aidan Turner once he starred in Peter Jackson’s ‘The Hobbit.’ We took notice of his magnificent medium hairstyle with layers upon layers of natural glossy curls enveloping his pretty head like a halo. 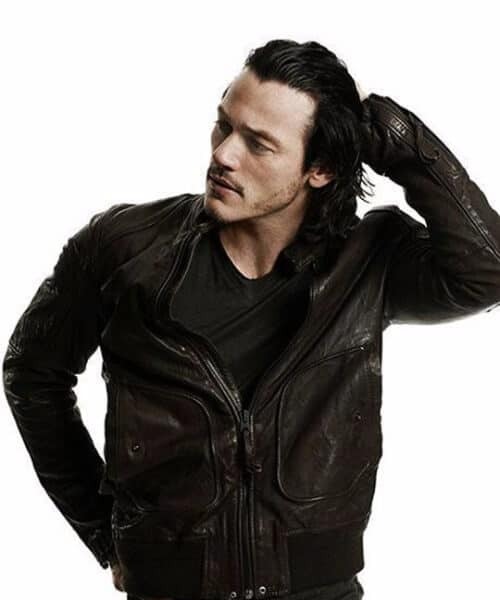 As far as medium hairstyles for men go, actor Luke Evans can do no wrong. 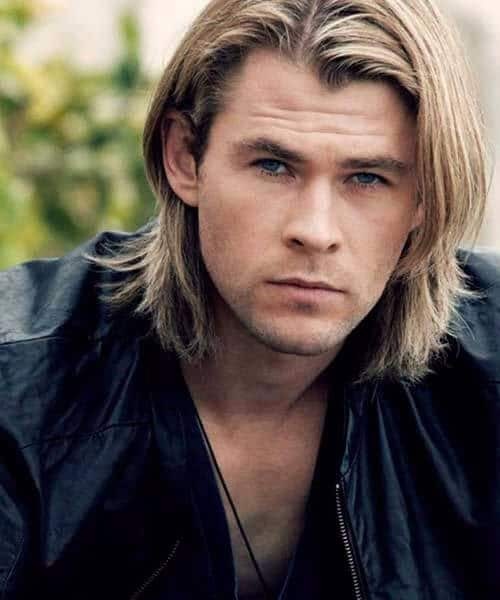 He has a very rugged and masculine handsomeness that is complemented by longer hair. He likes to wear his natural color, which is dark coffee, just like his eyes. Granted, this is not the Australian actor in real life. 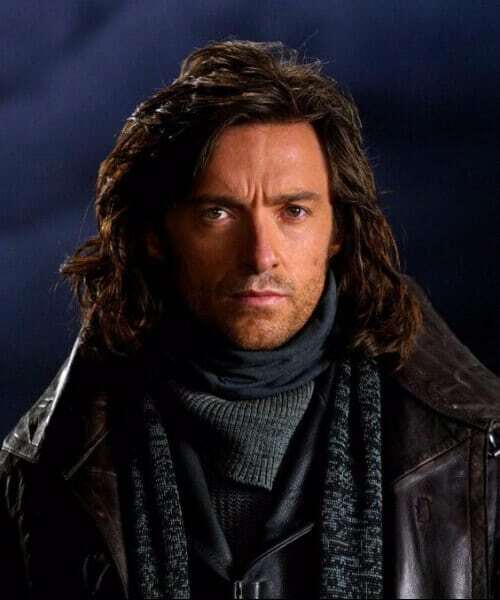 This is Hugh Jackman is ‘Van Helsing.’ However, we picked him for our list of medium hairstyles for men because he looks absolutely smashing with a haircut of this length. 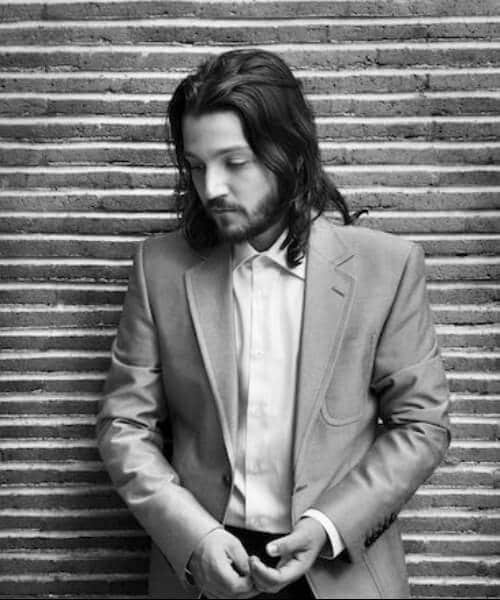 Actor Diego Luna is proof that medium hairstyles for men can really work for anyone, including skinny men that have a slender and delicate build. 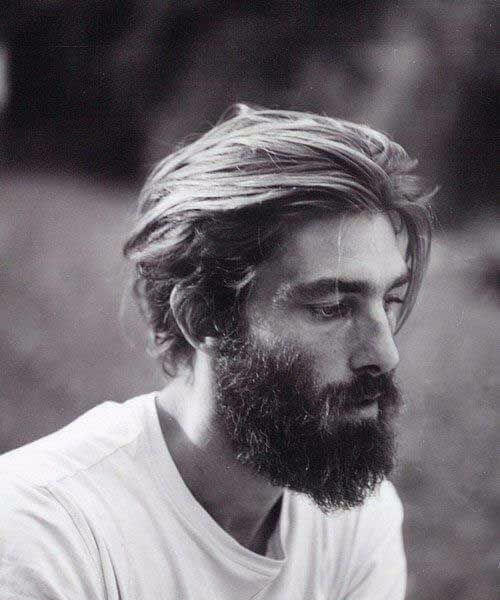 If you are one of them, longer hair will give you a very artistic vibe as well as a hipster presence. With a ginger hair and beard, what could possibly go wrong? 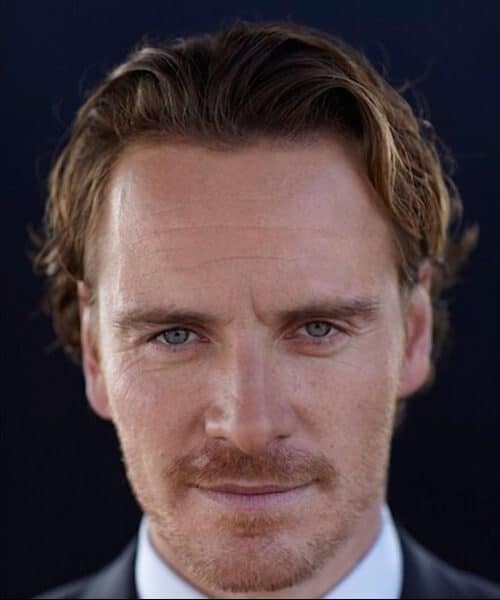 Nothing, when you’re Michael Fassbender. The actor opted for the no part as well, but he does like to wear his hair on the side rather than slicking it all to the back of the head. Actor Bradley Cooper uses his natural curls as a blessing. A lot of hair wax goes into making them stay in place, but it’s all worth it when you look like that. Therefore, you should definitely try it yourself! 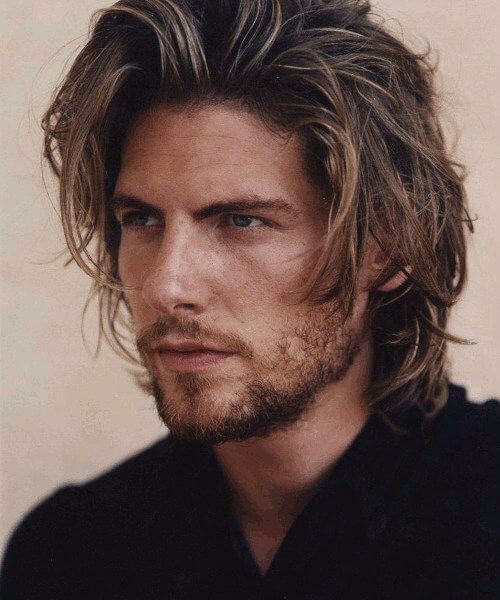 This concludes our selection of 50 superb medium hairstyles for men. 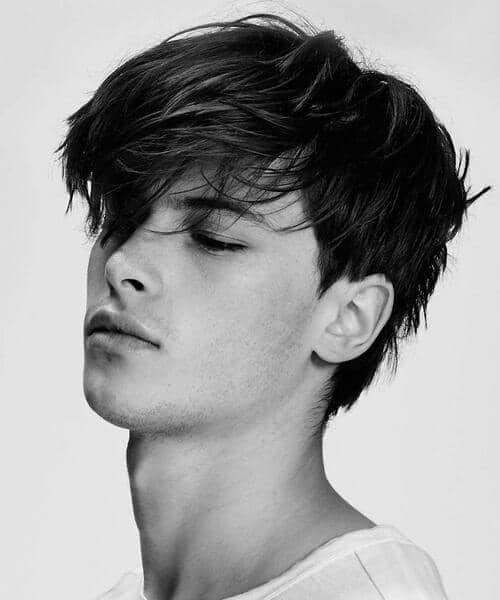 If you are planning to get his haircut or if you already did and you have some tips and tricks you’d like to share with us, please do so in the comment section below. We’re excited to hear from you!